The same rationale which underlies the universally acknowledged truth according to which "you can't hurry love" but "just have to wait" seems to apply also to new pieces of legislation, in particular the Enterprise and Regulatory Reform (ERR) Act which received Royal Assent last week (Katpost here). This Kat has not had the chance to read the full text copyright provisions of the Act just because this is not yet available on parliament.uk. However, impatient souls will be relieved (as was this Kat) to learn that, as reported by the BBC, the full text of the Act might be made available to the public on Thursday. Following its adoption, not only has the ERR Act already attracted a series of criticisms, but has also been promptly renamed the ‘Instagram Act’ by The Register journalist Andrew Orlowski, in reference to a recent furore surrounding the use of images posted to the image-sharing social network. On an even gloomier tune, Dominic Young wrote that, by passing the ERR Act, the UK abolished copyright. 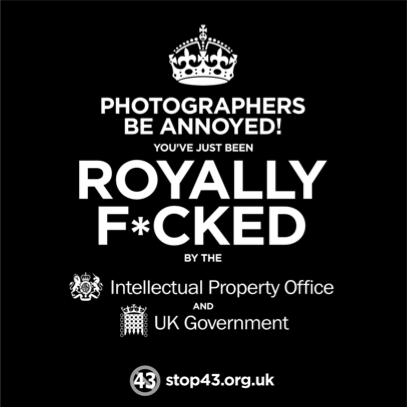 Who appears particularly upset with the copyright provisions of the ERR Act is campaign group Stop43, that represents a wide range of photographers and agencies in the UK. 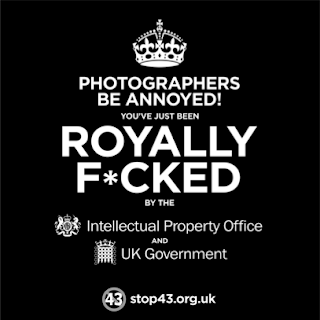 According to Stop43, while there are numerous reasons why photographers should feel "Royally f*cked by the UK Intellectual Property Office and UK Government", there are two in particular that cause the greatest concerns: orphan works and extended collective licensing. While The Department for Business, Innovations and Skills (BIS) defended the Act by saying that "The powers in the Enterprise and Regulatory Reform Act 2013 aim to make copyright licensing more efficient", according to Stop43, the claim that the ERR Act has made “copyright licensing more efficient" is true only if "by 'efficient' you mean 'no longer having to find, get permission from, and pay property owners before exploiting their property'. For almost any other kind of property, this idea would be outrageous. Imagine if this applied to cars, houses or bank accounts." "contains changes to UK copyright law which permit the commercial exploitation of images where information identifying the owner is missing, so-called "orphan works", by placing the work into what's known as "extended collective licensing" schemes. Since most digital images on the internet today are orphans - the metadata is missing or has been stripped by a large organisation - millions of photographs and illustrations are swept into such schemes. For the first time anywhere in the world, the Act will permit the widespread commercial exploitation of unidentified work - the user only needs to perform a "diligent search". But since this is likely to come up with a blank, they can proceed with impunity. The Act states that a user of a work can act as if they are the owner of the work (which should be you) if they're given permission to do so by the Secretary of State. The Act also fails to prohibit sub-licensing, meaning that once somebody has your work, they can wholesale it. This gives the green light to a new content-scraping industry, an industry that doesn't have to pay the originator a penny. 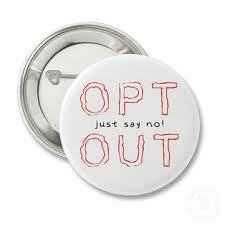 In practice, you'll have two stark choices to prevent being ripped off: remove your work from the internet entirely, or opt-out by registering it. And registration will be on a work-by-work basis." The most up-to-date draft version of the ERR Act available to the public (a link to which was provided by Andy J here) provided that the Secretary of State might by regulations authorise a subject (to be determined by such secondary legislation) to grant licences in respect of orphan works (also these to be defined by means of secondary legislation). Differently from the recently approved EU Directive on certain permitted uses of orphan works (on which see here) which allows solely the reproduction and making available of the orphan works to the public, the regulations might provide for the granting of licences to do, or authorise the doing of, any act restricted by copyright. Other differences from the EU Orphan Works Directive (of which, however, the ERR Act is not the implementation into UK law), concern also the beneficiaries of orphan works provisions, that do not appear to include just "publicly accessible libraries, educational establishments and museums, as well as by archives, film or audio heritage institutions and public-service broadcasting organisations ... in order to achieve aims related to their public-interest missions". As regards extended collective licensing (ECL, this is something which was first implemented in Nordic countries during the 1960s), according to the same draft version of the ERR Act, the Secretary of State might by regulations provide for a licensing body to be authorised to grant licences in respect of works in which copyright is not owned by the body or a person on whose behalf the body acts. The ECL scheme UK Government appears to have in mind is modelled on an opting-out mechanism. As provided in the same most up-to-date draft version of the ERR Act, "the regulations must provide for the copyright owner to have a right to limit or exclude the grant of licences by virtue of the regulations." When reading this provision, this Kat could not help but think what to do this weekend of the US Google Books Amended Settlement Agreement (ASA) which Judge Denny Chin rejected in 2011 (see 1709 Blog here). Among other things, the judge highlighted that "many of the concerns raised in the objections would be ameliorated if the ASA were converted from an ‘opt-out’ settlement to an ‘opt-in'". 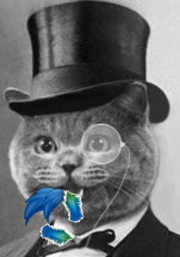 As some IPKat readers pointed out, the copyright provisions of the ERR Act have remain unaltered since the Third Reading in the House of Lords and are thus included in the final text of the Bill, which we look forward to seeing. "On an even gloomier tune, Dominic Young wrote that, by passing the ERRB, the UK abolished copyright." "Maybe the new powers don’t technically remove copyright from the work, but they certainly remove it from the copyright owner." "The right to say no is an important one. The right to set prices, to price yourself out of the market, or to be the cheapest, or simply not be in the market in the first place all matter. The fact that someone wants to use your work doesn’t mean you have to let them – and it used to be your exclusive right to decide." This is an accurate representation of collective licensing, and the historic break the UK has made. ERR permits the licensing of new collective rights management agencies on a per-sector basis. The Parliament website contains the text of the ERR Bill prior to receiving Royal Assent. The copyright clauses were not amended, so such speculation is not necessary. You want to keep up, Eleonora. The IPO's intention is for collecting societies to be ECL licensing bodies. This has been widely known for months by people I daresay you are in very regular contact with. Our observation 'if by 'efficient' you mean 'no longer having to find, get permission from, and pay property owners before exploiting their property'' applies equally to ECL, which is intended to make it legal to bypass primary licensing with the rights owner, and breaches Berne 9. Nordic ECL can be regarded as a special case which passes the 3-step test. The IPO's vision of ECL most certainly doesn't. And anyway, all of this stuff breaches Berne 5. The copyright clauses' text has not changed since the Lords 3rd reading. Why the faux-naivite? Thanks Anonymous and Paul Ellis for your comments. Stop43's argument fails. Houses, cars, bank accounts represent physical property, not a state-granted (and time-limited/scope-limited) monopoly of exploitation. Why should the same rules apply to both? Just because the word "property" is used to describe them? The term "intellectual property" is of relatively recent innovation, and is a philosophical position rather than a legal fact. Arguments which rely for their success on the choice of words used to describe the subject of the argument have problems in convincing, to my mind. Although not related to this post (but it is the most recent post), can someone direct me to a briefing note/or overview of the provisions of the America Invents Act? I'm really looking for a high level overview... Thanks. Why don't the photographers set up a website for their own copyright register? I presume that various unofficial register websites exist already but I assume these are commercial enterprises so the cumulative fees for registration will probably be unrealistic if the photographer needs to register each photograph. If the photographers have their own trade association, the association could run the website and offer the service for free to their members. Maybe uploading thumbnails of the works to keep the data size and cost of storage as low as possible. The association could also ensure that the existence of the register is made aware to the other creative industries wishing to exploit orphan works. Or is this is simplistic and naive suggestion? Perhaps the photographers could protect themselves by setting up a TinEye-style register? If they posted all of their shots up with details of ownership it would be more difficult for people to claim a shot found online is an orphan work. Eleonora, what are the first five words of the Copyright, Designs and Patents Act (1998)? "Copyright is a property right"
Is that not sufficient legal fact? There is nothing philosophical about it. Property is property and is legally protected by law. Always has been. Art works have always been property. 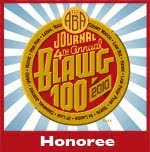 The law merely enshrined the rights of the creator in the face of widespread abuse in the early days of printed books. What this legislation does is to redefine that right into the hands of the exploiter of rights rather than the creator. This is fundamentally wrong. 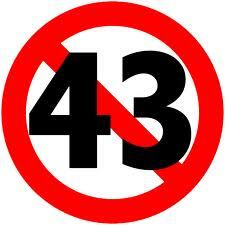 Stop43's argument fails all the more, because an analogous situation DOES apply to houses, car and bank account: see squatters rights, adverse land possession, the Removal and Disposal of Vehicles Regulations 1986, the Dormant Bank and Building Society Accounts Act 2008, etc. We don't actually have a law yet, we have some enabling provisions. While it would be better for the law to be made in Parliament than in the IPO in theory, in practice MP's eyes will glaze over at any detailed discussion and our only hope for a sensible law is for one that comes out of the IPO's consultation process. I am assured by the IPO people I have spoken to that there will be thorough and meaningful consultation on the exact form of the regulations and that stakeholder interests will be involved. So any idea that the UK has "abolished copyright" is premature. I can see perfectly well-constructed sets of rules out of these enabling provisions that would meet any reasonable concern of photographers of creators of other works for that matter. While I applaud Paul Ellis and Stop 43 for their determined efforts to prevent the work of contemporary photographers falling into either the category of orphan work, or into the ECL'machine', I really think such lobbying should concentrate on the means to protect and identify such works in the first place. By strengthening the law (s 296ZA CDPA for example) to criminalise the removal of metadata which is embedded in digital images - something currently and routinely done by many websites and organisations such as the BBC - photographers could have a better chance of their work being identified, and thus ineligible for orphan status. Clearly better, tamper-proof metadata would also help, but that is slightly outside the gift of the government. The problem is that the vast majority of people who post images on websites don't know or care about their IP rights. It's only when sites like Instagram (arguably used more by amateur and semi-serious photographers) try to do a rights grab which Andrew Orlowsky referred to) that people generally get fired up about such problems. The point that most opponents of the ERRA overlook is that Schedule 22 (Regulation of Licensing Bodies) gives a lot more details of the checks and balances which should be put in place to prevent such bodies from allowing the system to be abused, such as a comprehensive code of practice. Given that the licensing bodies are supposed to be representative of the sector in which they operate, and photographers generally are poorly served at present, having to rely on DACS whose core business lies elsewhere, lobbyists might want to think about setting up their own licensing body and applying for Ministerial approval. That would be a case of the game turning gamekeeper, and shutting out the poachers. Your statement that bank accounts represent physical property is simply incorrect. Bank accounts record (digitally) an amount of money the bank is holding on your behalf. Nothing physical about them. The concept of 'intellectual property' IS a legal fact, as established by the Berne Convention in 1886. To date there are 165 countries signed up to the Berne Convention. The UK signed up in 1887 and further established a legal basis to copyright in 1988 with the Copyright, Designs and Patents Act. The Berne Convention specifically established that copyright is not a state-granted monopoly of exploitation: it is an automatic right, and the Convention specifically prohibited making formal registration a condition of holding copyright. It is also not a recent innovation - it was legally recognised in 1867 when the North German Confederation was founded, and whose constitution included legal powers to protect IP, as did the Berne Convention of 1886. The Statute of Anne in 1710 was the first to provide for Copyright to be regulated by the Government and Courts so Anonymous was quite wrong to think this a "recent innovation"
The principal goes further back to the Licensing Act of 1662 which, despite flaws which led to it's eventual repeal, recognised that people who create things have a right for their Intellectual Property to be protected. intellectual property is still property regardless of whether "Anonymous" can physically touch it or not. If someone wants something (a technical textbook, a piece of literature, music, a motion picture or a photograph) then it has a value and if it has a value, it is property. Only a person who does not (or can not) create something new would fail to understand why Copyright protection for Intellectual Property is essential. I am having great difficulty understanding what all the fuss is about. If there is a piece of property with no apparent owner, I can move in and after a period of time it becomes mine if no one objects. With regard to photos, surely in the age of Google, the establishment of means to prevent these becoming orphan works is not too onerous. If the photographer wants to protect his work, he should do something about it. Why the difficulty in understanding? Photographers do do something about protecting their work, a point you seem to have completely failed to comprehend! EXIF data is commonly used to identify the copyright holder of an image. This data gets stripped out of image files by all manner of websites. These EXIF-less images, now effectively orphaned, can then get copied left, right, and centre by other parties who have no regard for copyright. If someone decides one of these orphaned EXIF-less images is ideal for their commercial purposes, does a supposedly-diligent search, cannot find the originator of the image and isn't particular minded to put themselves out to do so, they then get on with using the image commercially. Someone else sees this usage, decides the image is also ideal for them, and the whole cycle is repeated. This is effectively what the UK government will be legalising. It should be an easy concept to understand. However, neither the government, nor many commenting here, seem able to comprehend this. And, of course, it isn't just professional photographers and visual artists, or serious advanced amateurs, it's everyone who has images online. As far as having the right to "move in" on property with no apparent owner if they don't object after a certain period of time goes, how can they object if they don't know you've found it, have designs on keeping it for yourself, and have no genuine interest in tracing them to let them know you found it? Ultimately, the rights should be with the creator, professional or amateur, young or old, whether they know about or understand copyright or not. Now that really is simple! My reading of the draft bill is that the licences that may be granted to use an orphan work will almost certainly not be free. Orphan works would be administered by an agency who will be entitled to charge at least a sum necessary to cover their expenses. I therefore do not see what incentive a third party would have for actively getting a work classified as an orphan work, as it would mean that they would have to pay for something which they were previously using for free. As licences will be non-exclusive, they would not be getting exclusivity from their outlay either. Eleanora ,it does look like a totally lawless mess. A question because the web is the web , what would be the situation when a UK site makes a commercial global web use of a 'orphan' photograph, that turns out to be owned by say the New York times- whose law would apply? PS the idea that the UKs collecting societies will be better behaved when they get a quasi compulsory representative right over all creatives is risible. Two more questions. The new law seems to involve what the Berne calls "formalities" and the quasi compulsory extended collective management also seems to be at odds with the spirit of the Berne "3 step test" for justification of restrictions of individual right-holders exclusive rights over control of usage. 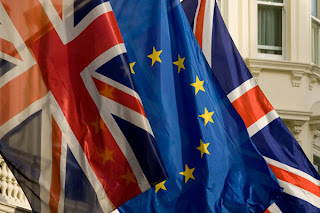 Has the UK considered the potential international treaty conflicts ? I think you'll find everyone commenting here is perfectly able to comprehend your argument; they just don't all agree with you (do you comprehend the difference?). You ask "how can they object if they don't know you've found it, have designs on keeping it for yourself, and have no genuine interest in tracing them to let them know you found it?". This is exactly the point. Squatters don't need to make any effort to trace the owner of a vacant property. If the property owner is so detached from his property that he is unaware that squatters have occupied it, then he can be considered to be making no real use of the property himself. The law recognises this as wasteful and ultimately allows the squatters to take ownership of the property. Just as any diligent home owner should be aware if squatters enter his property, so the onus should be on copyright holders to notice if their images are being used without permission. To the extent that a copyright holder is oblivious to such use, the use should not be causing any moral or commercial harm to the copyright holder. Analogously to squatters, the copyright holder's lack of interest should ultimately mean that he loses rights in the work. A similar situation exists for patents, with compulsory licensing being available where the patent owner shows no interest in exploiting the patent. Photographers who are worried about their works being considered "orphan" works can simply register them with a copyright register. gives what appears to be an acknowledgement of the rights holder. A bit of due diligence goes a long way. Photographers should relax. A diligent search is required before a photograph can be considered to be an orphan work. As long as the the photographer makes the photograph available somewhere on the web a Google image search will (usually) instantly pick it up. Try it for yourself: find a photograph available under a creative commons licence on the web and copy it to your hard drive. Then go to Google image search, click on the camera icon, and upload your copied image. The Google software matches your uploaded image with the web original instantly. Hey presto - no longer an orphan work. Anyone who fails to carry out a simple exercise like this can hardly be said to have carried out a diligent search. @Andy J: Thanks so much for promptly posting a link to the Act! @John Walker: Your questions raise absolutely fundamental points, so thank you. As regards the first one: "What would be the situation when a UK site makes a commercial global web use of a 'orphan' photograph, that turns out to be owned by say the New York times - whose law would apply?" 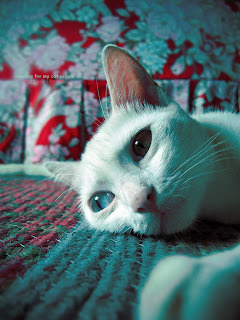 I think that in this respect the situation is still unsettled, but some hints might be found in the CJEU decision in Sportradar (http://ipkitten.blogspot.it/2012/10/targeting-gets-targeted-and-data-gets.html; see also http://ipkitten.blogspot.it/2012/11/whats-your-view-of-panorama-right.html). Despite being a database case, it might well apply also to copyright cases, I think. Coming to your second question, ie "Has the UK considered the potential international treaty conflicts?" Yes, possiblle points of conflict with Berne were raised by various stakeholders, including Stop43 (http://www.stop43.org.uk/what_we_stand_for/what_we_stand_for.html), but HM Government dismissed them: http://www.ipo.gov.uk/response-2011-copyright-final.pdf. Was HM Government right? Francis Davey said, "I am assured by the IPO people I have spoken to that there will be thorough and meaningful consultation on the exact form of the regulations and that stakeholder interests will be involved." * Although the most obvious and potentially decisive defects in the law *and* the implementation rules under consideration by the IPO relate to the impact of both ECL and "orphan works" schemes on the rights of foreign authors and other creators pursuant to the Berne Convention and the WIPO Copyright treaty, *no* foreign creators are included in the IPO working group. The IPO categorically refuses to acknowledge that foreign creators are a distinct category of stakeholders with distinct interests. * Submissions to the IPO from foreign creators have been ignored, and the issues they have raised have not even been mentioned in IPO reports on the process. * Despite having received specific criticisms of its Impact Assessment, and suggestions for corrections, the IPO persists in presenting Parliament with an "assessment" that the cost burdens imposed on writers and other creators to register, opt out, and "claim" our work will be negligible. Being told by the IPO that we will again have the opportunity to submit "comments for the circular file, after the implementation rules are finalized, is scant comfort, and does not turn this into a genuine consultation or one genuinely inclusive of all stakeholders. "campaign group Stop43, that represents a wide range of photographers and agencies in the UK."? Copyright law seems to be ever-changing, especially in the digital age. Strangely, I think the end of copyright as we know it will be if/when it remains the same. Whatever happened to IP TRANSLATOR? Nice one, Your Majesty -- and well done, Colin! Bifurcation & the UPC: Much ado about something? Fashion and Football -- Hands Off My Style!